A team that did not even qualify for the International 2015 and a wild card invite to ESL One New York 2015 has won it all. 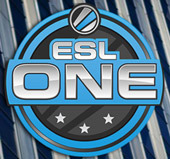 It was a Cinderella story for Vega Squadron as sticking with their original roster, the one that did not make it to Seattle, finally paid off with a big win over Team Secret in the finals of the ESL One New York 2015. It was not an easy road for Vega Squadron. The first team they faced was the new look Evil Geniuses, and oh boy did Evil Geniuses look lost on their match. Rust was definitely a factor and it was evidently clear that the Evil Geniuses lack of matches on their new roster was definitely a factor. They looked lost and was easily disposed of by Vega Squadron. Next on the hit list was late replacement for EHOME, Invictus Gaming. Although Invictus Gaming looked good disposing of Virtus.Pro. They were not match for the onslaught of Vega Squadron. Falling 2-1 to the eventual champions. Vega Squadron went into the finals match as the underdogs against Team Secret. Game 1 was a neck and neck affair what hastened Team Secrets downfall was EternalEnvy's Anti-mage buying a Divine Rapier and losing it a minute later to Vega Squadron. Game 2 was Team Secret surprise pick against Vega Squadrons Broodmother, Meepo. Partnered with a Bounty Hunter, the gold was bucketfuls for Team Secret and eventually winning game 2. Game 3 was a tightly contested affair. Team Secret tried to sneak-in a Roshan and was decimated by Vega Squadron, and it went downhill from there. Vega Squadrons slim 5k gold lead looked like a 20k gold lead as they took Team Secrets barracks forcing a GG call.